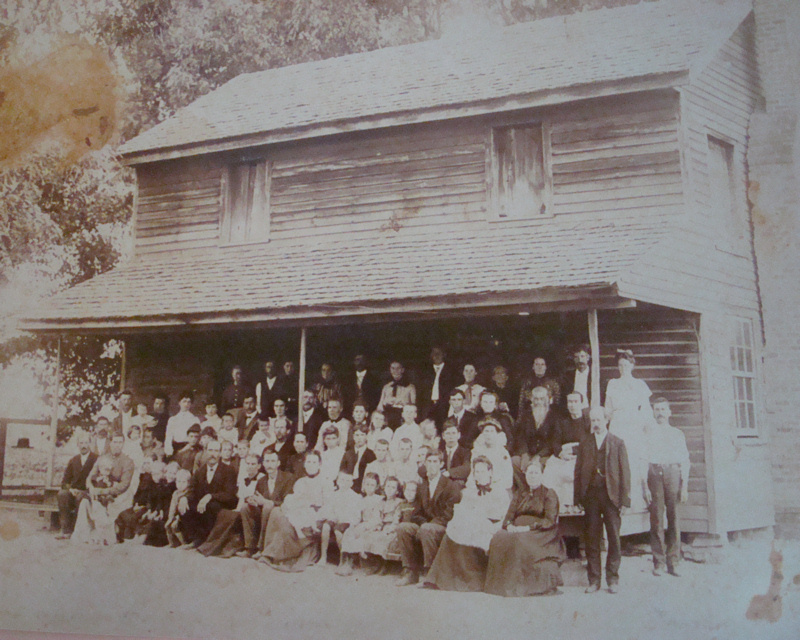 Photo of Family Reunion.click on photo for larger view. . This photograph belonged to my grandmother, Rosa Bell Helms Elms, and is now owned by my cousin, Cindy Elms DiGuillo of Waxhaw. There is no writing on the back, but I think my great-grandparents, Joanna Griffin Helms (1866-1938) is the first woman on the left front row, and her husband, George Washington Helms (1865-1960), is the second man from the left on the front row. There is a bearded man who could be the patriarch of the family on the right. It could be either Hiram Noah Helms (1835-1913) or A. W. Griffin (1827-1887) depending on which family reunion it is.